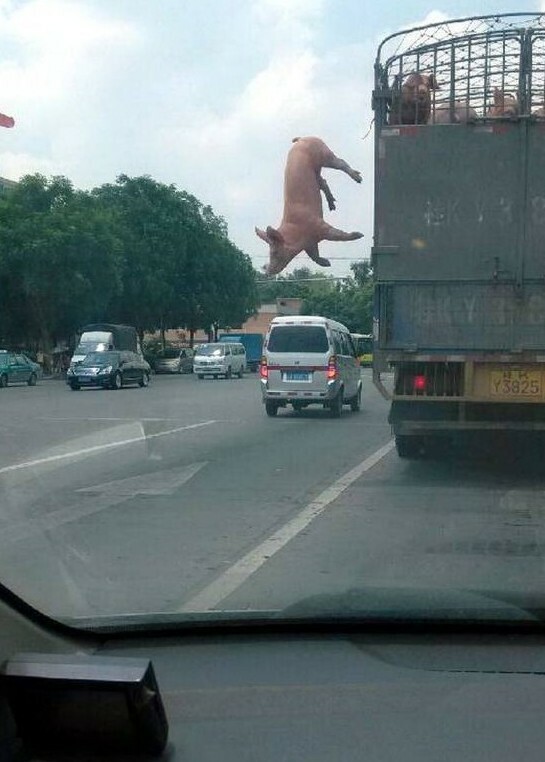 A pig on its way to the slaughterhouse dodged death by leaping from a moving truck and the whole freaky escape was captured on camera by a motorist. 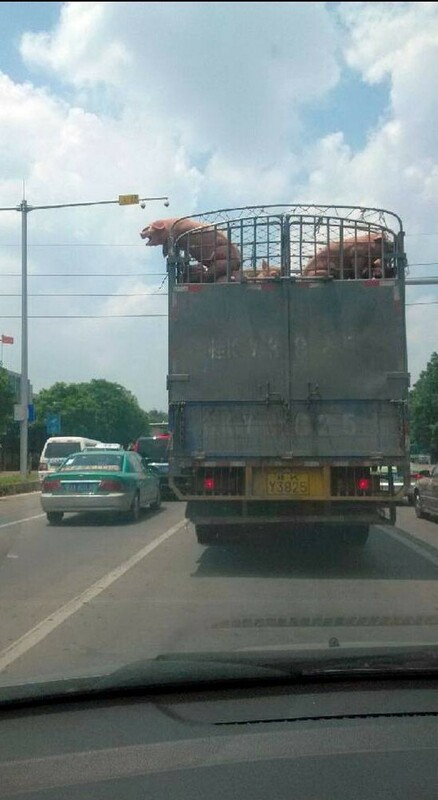 The sow, made its great escape in the Guangxi region of South China. Witnesses saw the pig climb over the back of other pigs before leaping out of the truck, that was transporting them to the slaughterhouse, and into moving traffic. Incredibly despite falling 16 feet the pig survived. The brave pig has now been adopted by the local police who have nicknamed it Babe after the Hollywood film. ‘She was safe and sound after her leap,’ said a police spokesman, ‘but found herself lost in the big city. ‘She saw one chance of freedom by clambering on the backs of the other pigs and took it.